Only 5 kilometers west of Zutphen lies the Estate of Voorstonden. Here stand some beautiful trees, among wich the Giant Sequoia (Sequoiadendron giganteum) above, wich has the second biggest girth of its kind in Holland: 7,83 m (26 feet). It was planted in 1876 and is growing fast; its top was broken off by a lightning-strike some 25 years ago but is good growing again: the tree is now again 32 m (105 feet) tall. Of course it is still a youngster for the species and Californians will laugh about its size compared to the real giants of the species: the biggest of all, the famous General Sherman Tree, combines a height of 83,6 m (272 feet) with a girth at breast height of 26 m ( 85 feet) and is the biggest tree in volume of any species in the world. This tree is estimated to be some 2100 years old ! 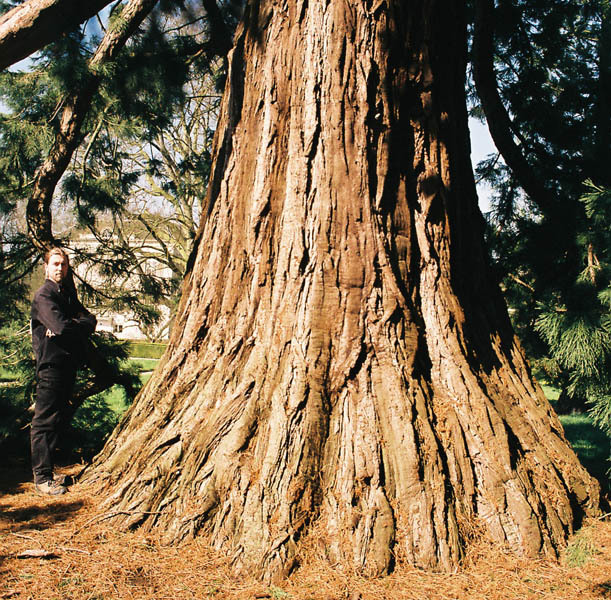 The trunk of the Giant Sequoia shows the typical form with a very wide base but a sharply tapering bole. 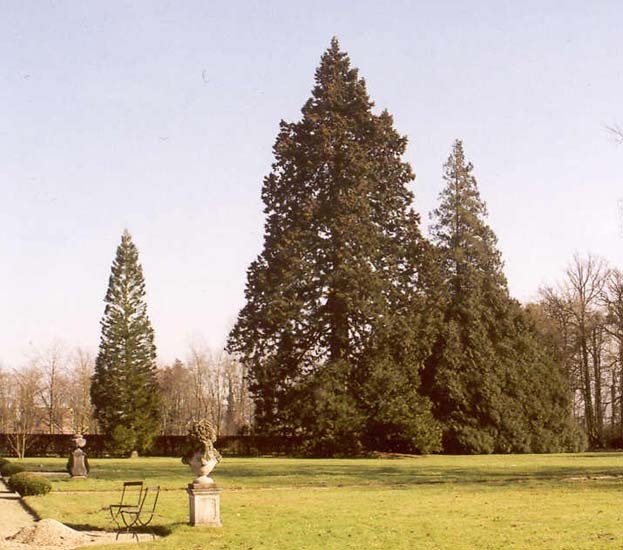 The species, wich is also known as 'Wellingtonia' , 'Mammoth Tree' and 'Big Tree' , became very populair to plant in parks and estates in the second half of the nineteenth century in all of Western Europe. In the wild the Giant Sequoia is growing only in a rather small relict-area in the Sierra Nevada in California, although in prehistoric times it has been widespread over the earth. Here you see the old Mansion of Voorstonden with the beautiful Purple Beech and a big London Plane Tree, both planted in 1820. 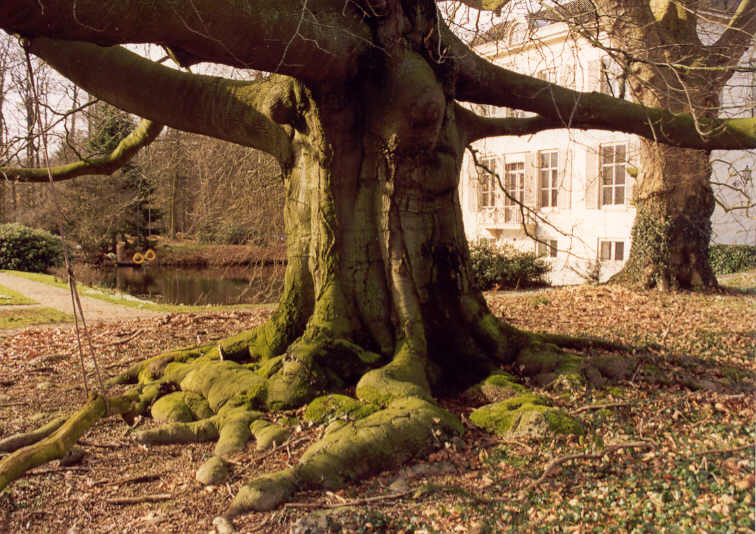 At Voorstonden you can also admire a big Western Red Cedar ( Thuja occidentalis ), an old Sweet Chestnut and several large Purple Beeches. Half way between Zutphen and Arnhem lies the 17th century Castle of Middachten. 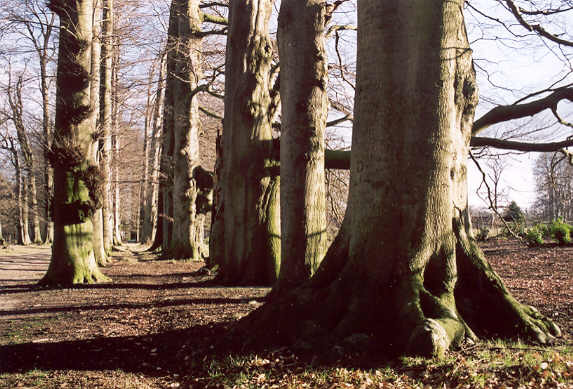 It was famous for its great Beech Alley, wich had the tallest beeches of the Netherlands. It was blown up with dynamite during the last days of World War II by the Germans to blok the road for the British Troops. Fortunately they left the transverse Alley standing: it was planted in 1733 and still has some tremendous beeches. Alas these trees have been felled in the autumn of 2005 because of the risk of enjuring passengers. Many of them had heartrot and funghi and quite a few had died already. The count and his man decided to fell the trees. Parts of the Alley are younger and left standing. Nearby also large tracts of outstanding beech-forest can be seen. 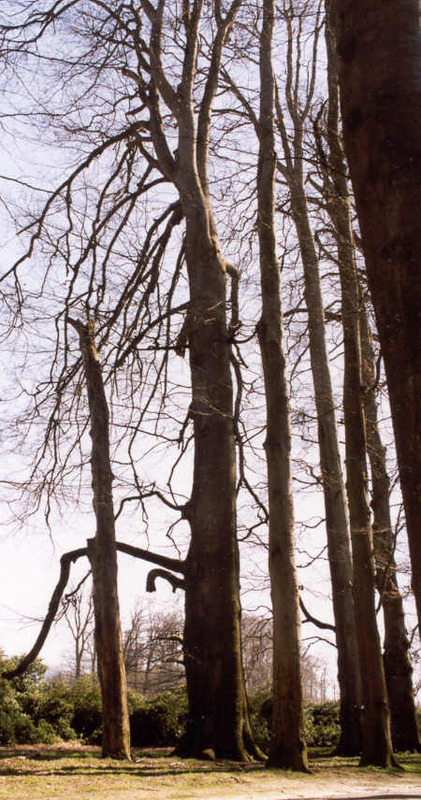 The largest of the Middachten Beeches ( Fagus sylvatica ), standing 44,25 m ( 145 feet) tall , with a circumference of 490 cm (16 feet).